With two MLS Cups, four Conference Championships, two Conference Runner Ups & having only missed the playoffs once in eight seasons, Dom’s success with the Dynamo is as unquestioned as his authority. The Dynamo allowed Bobby Boswell, a six year Dynamo starter, to test the free agent market after the 2013 season. DC United signed Boswell through the Re-Entry Draft and named him team captain for their preseason match with Houston. Boswell’s departure left an obvious hole in the Houston backline. The Dynamo responded by adding David Horst and Generation Adidas defender AJ Cochran to a stable of center backs consisting of Jermaine Taylor, Eric Brunner, and Anthony Arena. Horst and former Timber teammate Brunner are lead candidates to start alongside defensive anchor Taylor. Horst started with what looks to be Dynamo first team in the most recent preseason game and appeared to have the inside track for the starting spot only to respond to Kinnear’s first team nod by scoring an own goal. In doing so, he may have reopened the door open for speculation that Brunner should reclaim the starting spot he occupied throughout the 2013 post season. On the opposite end of the field is a player who has logged over 7,500 minutes in his first three seasons for the Dynamo, Will Bruin. Bruin has proven to be a divisive figure amongst the Houston fan base. Those who compare him to the likes of Chris Wondolowski are as unfair to the player as those who want him banished to Pittsburgh to play for Houston’s partner ULS Pro Team, the Riverhounds. After a promising scoring progression in his first two years, Bruin was seen as a player with a nose for the goal. However, in his third season, despite Bruin’s career high minutes and shot attempts, his goal count fell off pace. More worrying than the any other statistic, Devin Pleuler awarded Bruin the distinction of being the player with the league’s lowest expected goals added rate. No surprise to any Dynamo fan, Bruin had enough quality chances to be squarely in the 2013 season’s Golden Boot Race but instead finished with single digit tallies. The 2014 pre-season has not been much better for Bruin with his lone strike coming against the Dynamo Academy. In a contract year, the time is now for Bruin and midfield support will never be better. Bruin and Dynamo fans alike can hope that last year’s dip in production is just that, a dip, and not a sign of things to come. Offensive production, depth at defense and formation flexibility will be key to Houston’s season. In 2013, all MLS teams combined produced only nine players who shot the ball more than 90 times. Two of those players, Bruin and Barnes, wear orange. Unfortunately for Dynamo fans, they also happened to be the only two of that group unable to reach double-digit goals. Despite their lacking numbers, the duo will be given incumbent treatment to start the season. But Bruin and Barnes should not sit too comfortably. Omar Cummings was brought to Houston before the 2013 season to provide speed up front and a goal scoring spark. Injuries kept him from doing so most of last year, but he has been healthy and on target this preseason. If goals don’t come early and often from Bruin and Barnes, Cummings won’t hesitate to take on the roll as Houston’s lead hit man. With a talented and deep midfield to provide service, all three will have ample opportunities to play the role of hero. If all goes according to plan, the Houston trio will right the wrongs of 2013 and deliver Dynamo fans multiple double-digit goal scorers this year. Nobody will be happier to see the above prediction come true than the Houston defense, whose midseason form is as crucial to the Dynamo’s success as any other part of Houston’s lineup. Houston’s summer heat and its ill effects on players are well documented (Right, David Beckham?). July will see Houston square off against conference foes NYRB and Toronto twice apiece, with a trip to Seattle coming early in August. If rumors of a Didier Drogba move to Seattle pan out, Houston’s defense could line up against Thierry Henry, Tim Cahill, Jermaine Defoe, Clint Dempsey & Drogba in a span of 37 days. Starting outside backs Corey Ashe and Kofi Sarkodie, who logged a field player team high of 2,948 minutes in 2013, are up for the challenge, but if either is out due to injury in July, Houston fans have reason to worry. The proposition of facing that caliber of attacking power is worrisome even for the healthiest of MLS defensive lineups. Houston attempting to do so without Ashe or Sarkodie is downright terrifying. The most likely and reassuring replacement is Willie Creavalle, but Creavalle may be needed in midfield if Boniek and/or Davis are in Brazil for the World Cup. Speculation that a preseason guest appearance for European journeyman Euan Holden, little brother to hometown favorite Stuart Holden, may turn into a roster spot could help. Other likely options are Mike Chabala and Brian Ownby, who has been lining up at defense in the preseason. Heavy perspiration is the norm at BBVA come July but even the coolest of Dynamo fans will have pre-game sweat beading on their brow at the prospect of anyone but Ashe or Sarkodie lining up against their late summer foes. Houston fans might find the answers both question above in its midfield depth and the flexibility of players like Boniek Garcia, Giles Barnes, Willie Creavalle, and Ricardo Clark. Kinnear has shown a willingness to shift lineups in order to best exploit the talents of his players. Garcia can excel as both an outside midfielder and an attacking midfielder. Barnes has been playing forward since coming to the Dynamo but many see him as a better fit at attacking mid. Creavalle has played all over the field for Houston including central midfield and outside defense. Clark can fill the role of a defensive or attacking central midfielder. For arguments sake, let’s assume Horst will win the starting defense spot next to Taylor and Houston starts the season in a 4-4-2 formation. If 2013 and preseason games are any indication, the Dynamo starting lineup will consist of Bruin and Barnes playing attack while Davis, Clark, Garcia and Cascio occupy the midfield with a defense made up of Ashe, Taylor, Horst and Sarkodie. Injured defensive back? Move Creavalle down, Clark back, Garcia to attacking mid and insert Cascio at right midfield. Need more fire power? Drop Clark to defensive mid, Barnes to attacking mid and place Cummings up top. Want to own the center of the field? Employ a 3-5-2 with Clark and Creavalle playing deep behind Davis, Garcia & Cascio. Unlike other MLS teams who have brought in headlining DPs, the Dynamo have stayed consistent, hoping small additions to a successful core can propel them to the next level. Going into the 2014 season, Kinnear has put together the deepest, healthiest lineup yet to start a season at BBVA. Houstonians should be excited about the prospects of the 2014 season. Coach Domenic Kinnear is the patron saint of Dynamo soccer so where better to look for a beer to pair with his Dynamo than Saint Arnold’s, the old guard of Houston breweries? Taking a fan favorite beer, Pumpkinator, and aging in Appleton Estate 30 Year Rum Barrels can only result in good things. 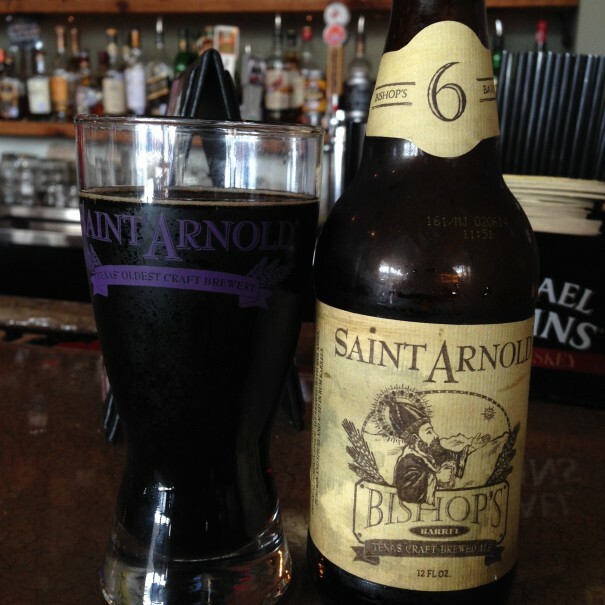 Much like the 2014 Dynamo Roster, Saint Arnold’s Bishop Barrel 6 is a tried and true formula with a little something added. And just like the Dynamo in the post season, this beer, best served around 50 degrees, hits its stride after warming up a bit. Houston fans can hope Canetti’s additions to the 2013 roster do for the Dynamo what barrel aging did for Pumpkinator, take a Houston institution and make it better. Meow, meow, meow... please, please score. Watson took the reigns of the club last June after the sudden departure of long-time head coach Frank Yallop. Not quite halfway through their season, the Earthquakes were struggling to gain any momentum, but Watson injected a renewed sense of focus, especially on defense, and San Jose finished the season on a 13-5-5 run, missing the MLS Cup playoffs only because of a tiebreaker. Watson didn’t do anything revolutionary with the team — it was only a year ago that it won the Supporters’ Shield — but his back-to-basics approach made the Quakes a contender, and a team other Western Conference foes were glad didn’t make the postseason. Expect much the same from Watson and the team in 2014, as they play a brand of soccer not so much beautiful as effective. The obvious player to watch will be Chris Wondolowski. Can the 2012 MLS MVP recapture the form that allowed him to tie the league record for most goals scored in a season? Last year Wondo played more than half the season with a broken foot, and his production understandably dropped. This year, fresh off a month training with the U.S. men’s national team and free from injury, the Quakes’ captain should be back among the mix in the 2014 MLS golden boot race. The Earthquakes player that will likely garner the most “Who is that guy?” comments this season is newcomer Jean-Baptiste Pierazzi. The former captain of Ligue 1 side AC Ajaccio, the 28-year old midfielder has made a long desired move to MLS after playing his entire career with his hometown Corsican club. He’s not your typical over-the-hill European player, looking for a vacation in the states, but a hard-nosed central midfielder with excellent vision and a knack for sniffing out the ball. Pierazzi is not a playmaker in the classical sense, but he will be an important catalyst in the Quakes attack. These Quakes are not falling for that temptress known as “possession.” Rather, the 2014 team will take the pragmatic path to results, being disciplined on defense and opportunistic on offense. The hard-nosed Steven Lenhart is healthy again and should complement Wondolowski well on the forward line as both seek out incoming passes flying in from the wings. The free-wheeling play of 2012, which required a ridiculous number of Goonies-inspired comebacks, has been replaced by a more methodical style of play. As such, the 2014 Earthquakes will win no points for style, but they will post points in the standings and qualify for the playoffs. An explosion in craft brewing in the Bay Area recently has proffered beer-lovers a tremendous variety of options when is comes to their drinks of choice. On the India pale ale front alone, such exciting new offerings as Palo Alto Brewing Company’s “Atlas,” Knee Deep Brewing’s “Hoptologist,” and Strike Brewing’s golden IPA make the mouth water. Veteran players on the scene, like Russian River’s “Pliny the Elder” and Bear Republic’s “Café Racer 15,” still deliver the goods and are sure to be among the offerings at the Quakes’ new stadium’s North America’s Largest Outdoor Bar next spring. MLSSoccer.com's Jason Saghini does his best SportsCenter impression and takes us through some of the sweetest touches, through balls, and juke moves from the opening weekend of Major League Soccer. Think we're going to love this series. There's loads of great goals and saves in MLS, but it's these little things that are really going to propel the league forward. It's Major League Soccer opening weekend! Can we get a Max Bretos "YEEEEEEEEEAAAAAAH!!!!!"? Tune in. Support your local soccer! Oh Absolutely, Last season is true testament to the job he has done with the squad. He has fired up the boys and instilling a team mentality of hard work, grit, and passion. The one moment that I think captures how loved he is by the team was Cahill leaping into his arms after the goal that put the match away for the Supporter Shield. He has a true love for NY, the Red Bull organization, his players and above all the fans. No matter the match outcome, win lose or draw Petke salutes the fans. This season I feel will be a big year for Dax (McCarty). Dax being called to the National team is a big for him (though he did not see a Cap against South Korea in LA). He will have to play a major role in the midfield to get the Red Bull back to the Supporter Shield and ultimately to get to the Cup. Bradley Wright-Philips only had half the year with the Red Bull but had a major impact. I am excited to see what he does will a full season plus training under his belt to get some quality minutes from the get go. To round out with a third player, Richard Eckersley. Coming from Toronto, I think he can have a big impact on the back line. At times that back line felt very shaky and often struggled to gel last season. He is a big body that I hope (fingers crossed) can learn and pair well with aging Olave. Well, Supporter Shield repeat and a better showing in the playoffs (a CUP win!) Any supporter will predict the best for his or her club. I am doing the same. Coming off last year’s impressive regular season to be let down in the playoffs should provide a ton of motivation for the squad. The east will be strong, very strong! Toronto now becomes a huge threat for the Red Bull but will create a lasting rival. I am predicting top 3 in the East and a solid playoff run. Anything from Barrier Brewing Co. Local Long Island boys who started a fantastic brewery using local flare and tradition to inspire their creations. After being severely damaged by Hurricane Sandy, they came back even stronger than before, expanding and opening a tasting room. Much like the determination and fight the Red Bull show on the pitch these guys have done the same with Barrier in the rebuild and overcoming odds to become local legends and fan favorites in bars and restaurants. Long Ireland Celtic Ale- Another Long Island Local brewery serving up traditional Irish brews with a twist. Brewed in the same traditions as other Irish Ales, this beer comes off smooth full of flavor (I can’t get enough of it). Definitely could be an award winner (much like last season’s supporter shield NY Red Bull). There’s no question that Bruce Arena is the right man for the LA Galaxy and will be until he’s ready to retire. Despite LA’s poor showing in 2013, the Galaxy awarded the four-time MLS Cup champion with a new three year contract this offseason that will keep him with LA for good. In recent years, Arena has not just had success because of his three Designated Players, but he’s also been able to retool his team and integrate young talent into the squad. As Arena continues his term at the helm of the Galaxy, expect more young players to earn significant minutes as the team contends for championships. Robbie Keane is undoubtedly one of the most talented players in MLS and the Galaxy will go as far as their captain will take him. In 2013, Keane put in an MVP caliber season with 16 goals and 11 assists despite battling through nagging Achilles injuries throughout the season. After undergoing offseason surgery on both of his achillies, Keane enters the season completely healthy for the first time since 2012. With few international commitments, expect even greater production from the Irishman. The Galaxy have made a number of additions with the acquisitions of Swedish international Stefan Ishizaki, towering forward Rob Friend and midfielder Baggio Hušidić, but keep a trained eye on Brazilian target man Samuel. The 22-year-old forward was acquired on loan from Fluminense; the technical attacker has been one of the shining stars of LA’s preseason with impressive displays of technical ability and finishing prowess. If he can form a solid partnership with Robbie Keane, then LA may have found their strike pairing for the foreseeable future. Goalkeeping was a major issue for the Galaxy at the start of the 2013 season, but the problem seemed to be corrected midseason with the acquisition of Panamanian shot stopper Jaime Penedo. In his first season in MLS, Penedo had a flair for the dramatic with a number of highlight-reel saves but he must improve on a number of different areas heading into the 2014 campaign. In particular, Penedo appeared too eager at times to come off his line, leading to easy attempts for the opposition. If the Galaxy are to compete for an MLS Cup in 2014, they’ll need Penedo to improve his timing and positioning, in addition, to making acrobatic saves. Also keep an eye on Gyasi Zardes who is starting to round into one of the finest young talents in MLS and midfielder Robbie Rogers, who is seeking to rebound from an inconsistent and injury-riddled 2013 season. MLS beware, the LA Galaxy are well-aware of what went wrong in 2013 and they’re aiming to right the wrong during the 2014 season. Late game breakdowns, poor road form and inconsistent play from the team’s youngsters doomed the Galaxy last season, and to correct those issues, Arena brought in more experience faces into his squad with the acquisitions of Friend, Hušidić and Ishizaki. With more experienced personnel and the talent of the likes of Keane, Omar Gonzalez and Robbie Keane, the Galaxy should remain competitive in an already loaded Western Conference. If LA can get continued production from Keane and company, don’t be surprised if the Galaxy are lifting their fifth MLS Cup this December. Southern California has produced many fine beers, but the list starts with Angel City Brewery. They were a no-brainer due to their name’s similarity with the Galaxy’s largest supporters group, the Angel City Brigade. Angel City Brewery has a number of top-tier offerings which all have great Los Angeles themed names, but their finest brew is the Imperial Chai Stout. The Chai Stout may appear to boast a heavy touch at first glance due to the bold mix of malt, chai and chocolate flavors, but the taste is as smooth as Robbie Keane’s first touch. Whenever in the Downtown Los Angeles area, the Chai Stout is a must have. Show of hands. How many of you were fine never seeing Oguchi Onyewu in a U.S. jersey BEFORE today's match? OK... most of the room. There we go. Everyone now. Well, that settles it. No more Gooch, right? Right? Obviously it wasn't all the Borgetti-stare-down-man's fault today (cough cough... John Anthony Brooks... we're looking at you), the entire defense was a mess, the midfield was inept, and the forwards nearly starved to death for service. There was about 20 minutes of blind optimism from the USMNT in the middle of the second half, but then it was all undone with a quick strike Ukrainian attack to double their lead. Aron Jonhannsson.. you're awesome. Brek Shea... not too shabby. Tim Howard.... two sweet saves only to see your back line bail on you faster than teenagers at a house party when the cops show up. Graham Ruthven (MLSSoccer.com) - "Jurgen Klinsmann says USMNT "definitely" missed MLS players in loss to Ukraine"
Matthew Doyle (MLSSoccer.com) - "Armchair Analysit: Three things we learned about USMNT's technical difficulties vs. Ukraine"
Brian Straus (Sports Illustrated) - "Failed Auditions: Three thoughts on the USA’s 2-0 loss to Ukraine"
Richard Farley (NBC Sports) - "Looking back on our five focal points"
Joe Prince-Wright (NBC Sports) - "Three things we learned in USA’s defeat to Ukraine"
Great question, Heaps had a terrible first season as head coach but has proven himself after the team made it to the playoffs last season. I’m not a “In Heaps We Trust” kind of guy, but I won’t argue with those that are. Diego Fagundez, Kelyn Rowe, Patrick Mullins, Steve Neumann, and reigning defender of the year Jose Goncalves. Goncalves is interesting after he expressed some desire to leave the team, but on the pitch he is an absolute pro! With the Eastern Conference getting better, I fear the Revs miss the playoffs. They are not going to have a bad season, just not good enough to make it back to the promise land. 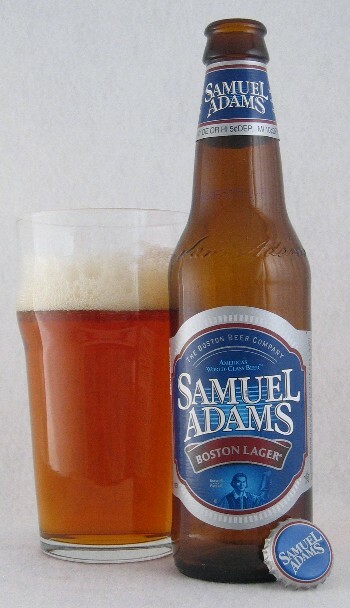 Seeing how this is New England and we are talking beer, it is hard to with a nice cold Sam Adams. Jim Koch and crew Revolutionized the craft brew scene. Yeah I think so. Carl was our assistant coach for the past two years so he has the respect of the players. He is a young, hungry manager that is eager to prove himself. He was a great player as well, so hopefully his experience playing at the top level in the world of football will reflect in his coaching. Kekuta Manneh - After showing glimpses of brilliance in his rookie season, look for the little winger to have a breakout year. The Caps will be a young team combined with a few "wiley veterans" like myself and Kenny Miller. If we can get our mix right on the field, look for us to continue to push for playoff spots. 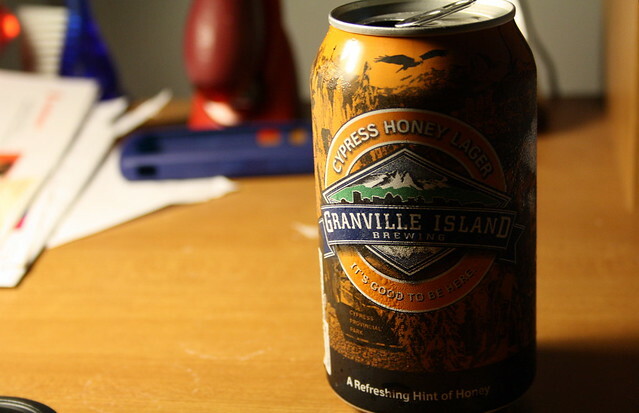 Granville Island "Cypress Honey Lager"
I wake up every game day morning looking at Cypress Mountain across the water here in Vancouver. Plus my wife won a gold medal at the Vancouver Olympics on the same mountain, so we love it! Ben Olsen has been a part of DC United from the first kick in 1996. I can't think of anyone else who has the love, the passion and the understanding of the team that Coach Olsen has. I'm proud to be a part of Olsen's Army! Steve Birnbaum - He comes to us via the SuperDraft with youth international experience. D.C. United has a history of taking young talent and making it better. This is the guy to watch now and for years to come. Bill Hamid - Bill has found his voice in net and in 2014, will be leading the defense with authority. His knowledge of the game and head for the play is just what a good keeper needs. Local flavor makes Bill an even better fan favorite. More rumors about a stadium, or no stadium, or a new stadium. Successful defense of the U.S. Open Cup title. Slow start to the season due to new players coming on board and getting their footing. The end of the season will be as exciting as it can be. Port City Brewing "Optimal" Wit. Brewed just outside of Washington D.C. in Alexandria Virginia, this Belgian White is crafted with coriander, orange peel and grains of paradise. Cloudy but not too much so you won't see the golden color of awesome. The flavor subtly changes as it moves from bottle to glass so your last sip will be different from your first. Perfect for the local weather not knowing whether to be warm, cold, polar or stifling. This fits with the play we'll see from D.C. United this year because things, they will be changing from week to week or even minute to minute. He’s the right man, right now. It’s hard to not be cynical and the fans have a lot of faith in Cabrera to lead them to glory in 2014. He has MLS experience and is very defensive minded compared to past coaches. Dream Big! MLS Cup champions in 2014! I do believe this will be a season of transition, but unlike previous seasons, it will be more positive. With Don Garber making the decision to buy the team, we will have a little bit more optimism than usual. Which is fine, because I’m tired of taking anti-depressants. Realistically, I hope that we are able to compete for a playoff spot. • Per the suggestion of Black Army beer connoisseur, Chido Jerry, is big on Border X Brewery’s “Abuelita Chocolate Stout” from San Diego. It’s basically a chocolate stout brewed with “Abueltia” brand chocolate. Anyone who loves Mexican chocolate knows that it has got cinnamon and hazelnut flavors which can only enhance a chocolate stout. Just like Chivas USA, Border X beers are Mexican influenced and produced in America. Our fans are diverse and open to all tastes. Black Army tailgates epitomize everything that is right about Chivas USA: flavorful, loud, obnoxious, welcoming and above all pro-Los Angeles and California. Chido Jerry commutes from San Diego for every Chivas USA game. That’s dedication. • My Favorite beer for this season is the "Joaquin Murrieta" Chile Pepper Ale made by Sequoia Brewery in Fresno. It’s a German-style pale ale brewed with many types of peppers, including jalapeno, serrano, and of course Fresno peppers. It’s smooth, light, and flavorful. Then you swallow it and it comes back like a kicking mule! This beer resonates with me since it comes from my hometown and it is great alternative to the awesome IPA’s, stouts, Ales, and porters than come from our great state of California. This season may be one of the most tumultuous of all the tumultuous Chivas USA seasons. 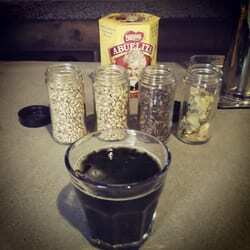 So drinking something sweet or spicy may be what the good doctor orders. It’s always unpredictable and exciting with our goats. Absolutely. Porter did a remarkable job turning the terrible Timbers of 2012 into the Western Conference’s top team in 2013. Having spent last season implementing his system in Portland, Porter now gets to refine his team with an eye toward an elusive trophy in 2014. Gaston Fernandez – The 30-year-old Argentine forward was one of two big South American moves for Portland in the offseason. If his preseason exploits have any bearing on his performance in the season ahead, La Gata should fit right into Porter’s offensive plans and might even enhance the already potent attack. Maximiliano Urruti – Urruti moved to Portland in a trade from Toronto FC late last season. Though he only played in five games, starting four under Porter, Urruti is expected to jump into a starting role as the team’s striker. Only 23 (his birthday is February 22), the Argentine is a pacey, relentless attacker who will benefit the chance to combine with the likes of Fernandez, Diego Valeri and Darlington Nagbe for a full season. The Timbers will not lose as few as they did last season (5!) but could end up with a better point total. That will in part be down to whether or not Portland can turn the league’s highest number of draws (15) into several more wins. The line-up enhancements, including Fernandez and Norberto Paparatto, to another year in Porter’s system should produce an even more complete product on the field. With Champions League, Open Cup and regular season games giving the Timbers around forty games in 2014, Porter will need depth even more than he did in his first MLS season. Adding experienced professionals like Jorge Villafana and Steve Zakuani should give the Timbers plenty of firepower and resilience all season long. Last season we went with Amnesia Brewing’s Copacetic IPA, representing hopes for forgetting 2012 and a new order in 2013. This year we’re going with Base Camp Brewing’s In-Tents India Pale Lager. Base Camp is a fairly new Portland brewery and its In-Tents IPL has a nice play on words and a nice, fresh take on a lager. As the Timbers can no longer sneak up on anyone and with the added challenge of a first ever trip to the CONCACAF Champions League, Portlanders can expect an intense season across multiple competitions. Meanwhile, Caleb Porter is by far the most intense coach in the league. Maybe? He's certainly the man Tim Leiweke seems to want in spite of reservations by many. The main concern is that he is tactically naive and, making things worse, has no one of experience on the assistants bench either. The 45 DPs (approximately) signed this year. To be serious, while most outside eyes will be on Jermain Defoe, Michael Bradley, Julio Cesar and even Dwayne De Rosario a lot of local fans are as interested in a couple young Canadians in Jonathan Osorio and Doneil Henry. Osorio was the 2013 rookie that was most criminally overlooked in the Rookie of the Year voting (no, really -- he had the highest pass completion rate, most key passes and five goals last year. It wasn't his fault the team sucked...) and a big year is expected by him in 2014. Henry wasn't a rookie of the year candidate in 2013 because he's been in the league since he was 17. Insanely, he is the longest serving member of TFC at just 20 years old. He's also fresh off a training stint with West Ham United that was said to have gone well and he's added about 15-lbs of muscle in the off-season. Henry is Nelsen's pet project and if TFC is to make a serious jump forward it will need to have Henry also take his game to the next level. The playoffs are an absolute minimum requirement. The instinct is to dismiss TFC because, well, it's TFC but this isn't the same management team that created the comical mess of the last seven years. Toronto will host a playoff game in 2014. MLS Cup playoff are too much of a crapshoot to make predictions beyond that. The hardy American Pale Ale was most popular about 5-years ago, but remains a staple of a small but loyal group of fans. Hell yes he’s the right man for the job! Papi has come home! He’s brought a much needed change of pace & coaching philosophy to the squad (mind you, this is just based on observations made during the first day of training camp, during the afternoon session). Oscar is actually out there on the pitch, going through drills with the guys, jogging with them during cool downs. Oscar made a point of coming over and saying hi to all of us supporters that first day, thanking us for coming out and saying that he was looking forward to the start of the season…..most importantly, that he was HAPPY to be back with FC Dallas. -Mauro Diaz. Mauro did not make his (league) debut until August 3rd at Seattle. He scored in his first start vs. Portland. And he was nominated for goal of the year, scoring on a beautiful volley at home vs. Vancouver in front of the Beer Garden. Three goals on 11 shots, with two assists in ten appearances. If you were to ask the FCD faithful who they’re expecting the most out of this season, I’d be willing to bet that Diaz would be the answer for most. -Blas Perez. 11 goals in 25 appearances for Super Raton in 2013…..here’s hoping Oscar will be able to utilize Blas’s skillset & height better than Hyndman. Blas was FCD’s leading scorer the past two seasons; I expect this to continue for the 2014 season. -Ryan Hollingshead. FCD selected Ryan in the second round of the 2013 SuperDraft. Ryan was unsure whether or not he was going to play professionally, as a result he didn’t sign with FCD until 12/9/13. Beer-fueled scuttlebutt has it that Ryan is held in high regard by a certain Western Conference coach who resembles a Dark Crystal Muppet…..and if he’s interested, you know this kid has some serious potential. * Written before the acquisition of Andres “Manga” Escobar on loan and the acquisition of Hendry Thomas from Colorado for allocation money. Of course those two should be on the list as well. Photo Credit: Lakewood Brewing Co.
Any postseason berth would be a success given the past two disappointing seasons. IF the damned injury bug stays the F away, this squad has the talent to go DEEP into the postseason. How deep? In my opinion, at least to the conference semis. With the ever expanding craft brewing scene in the DFW Meteroplex, this is tougher than I thought it’d be. I have actually changed my selection many times while writing this. "The Temptress" from Lakewood Brewing Company. 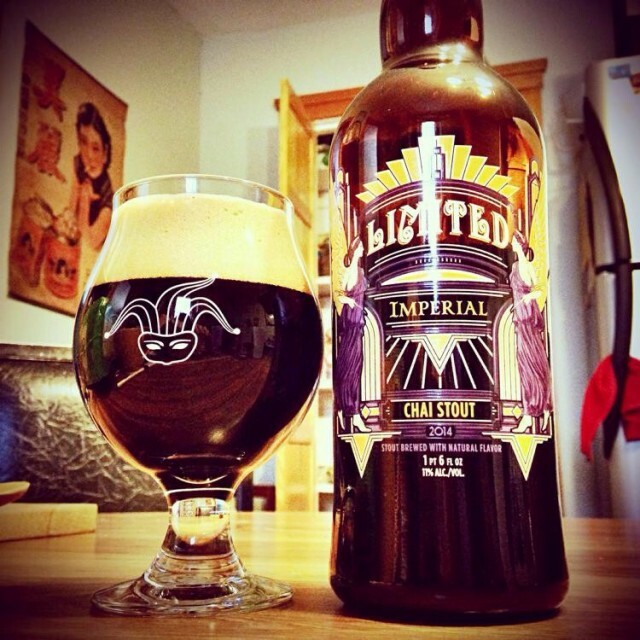 She’s an imperial milk stout who’s liable to surprise you if you’re not paying attention (much like I expect FCD to do to opponents this season). At 9.1% this beauty packs a punch….great for celebrations or commiserations. She’s easy to fall in love with, like FCD. She’s yet to disappoint, unless you count the scarcity of her alter ego, The Bourbon Barrel Temptress. Light carbonation & great flavor makes this EASY to drink. For Marco DiVaio 2014 is probably his swan song, He'll want to leave a good impression. Hernan Bernardello, Montreal's second designated player, was really good last August before getting hurt. He's a big key to Montreal's success this year. Patrice Bernier, the local hero, played injured for most of the later part of 2013. The fact that he was not in the best of shape is one if the reasons why the Impact struggled so much at the end of the year. Felipe, the small Brazilian, was magical two years ago. Last season he was not as impressive, even if he had more goals and more assists. He could be the key to Montreal's attack in 2014. Montreal had a Dr Jekyll and Mr Hyde kind of season in 2013. With a new head coach on board, it's kind of hard to know what to expect. But with other eastern teams looking like they upgraded their squad it's not easy to be confident about Montreal's chances. Especially when you consider that they added only one player outside of the Superdraft in the off-season. Moralité (morality in English), brewed by Dieu du Ciel. Why? First there's the fact that it's an American pale ale. Just like the Impact, its roots are European (that's the pale ale part) but there's an American twist to it. It fits because, with a new American coach, the Impact are definitely looking back to the U.S. to establish its identity. Also, since it's an American pale ale, you can expect the beer to be pretty hoppy (it's named Moralité in part because of its immoral quantity of hop in the recipe). Which means it will have a strong aftertaste, just like the Impact 2013 season (although in the beer it's actually a good thing). Obviously there are some big shoes to fill in Salt Lake City after the departure of Jason Kreis, but one thing that people forget is the fact that Cassar was Kreis’ first hire when he first took over at RSL. Cassar knows the players, the system and the philosophy within the club, so concern about the players taking to him right away shouldn’t be an issue. The biggest issue facing Cassar is managing the group over the course of a season as the head man in charge, the line-up choices and in-game substitutions / tactical adjustments. Thinking my personal #DrinkWithDunny beer ‘Snap Down Header’ by Wasatch Beers x Squatters (coming soon) is the logical choice!!! Perfect for tail gaiting as well as in game drinking while interacting with me on Twitter during broadcasts. Thierry Henry is about to enter his fifth year in Major League Soccer and so then former Arsenal and Barcelona star can consider himself a decent authority on the state of the American soccer league. His message? "Don't knock it until you try it". In an interview with ESPN FC during MLS Media Week the New York Red Bull star sent a strong message that those who don't think MLS is a competitive, high quality league don't know a thing about soccer in the United States. Oh, absolutely. An MLS Cup title last season, plus Eastern Conference and U.S. Open Cup crowns the year before that proves as much. With apologies to guys like Bruce Arena and Dominic Kinnear, who won’t be seeing unemployment lines anytime soon, Vermes may have more job security than any other manager in the league heading into the 2014 season. Goalkeepers Eric Kronberg and Andy Gruenebaum will be the most closely watched players as Sporting KC defends its MLS Cup title as the team looks to fill the shoes of now-retired team captain Jimmy Nielsen (who is managing Oklahoma City Energy FC, Sporting KC’s USL Pro affiliate). Kronberg has been a loyal soldier since being drafted by Kansas City in 2006 and appears to have the upper hand in the race for the starting job, but Gruenebaum, a Kansas City native who the team acquired from Columbus Crew in the off-season, will also get his shot. There should be plenty of playing time for both considering Sporting’s duties in both the CONCACAF Champions League and the U.S. Open Cup, in addition to MLS play. Whoever is in goal will have the luxury of playing behind the league’s stingiest defense. The re-signing of right back Chance Myers in late January means that entire back line — left back Seth Sinovic and center backs Matt Besler and Aurellen Collin — returns to anchor Sporting’s defense in 2014. Despite last season’s successes, Sporting KC struggled to develop a consistent scoring threat up top. Will designated player Claudio Bieler fulfill the promise he showed early last season in 2014? How about Dom Dwyer? Will wing players like C.J. Sapong and Soony Saad become consistent threats? With a busy schedule ahead of them all of them are likely to get plenty of chances to impress. You can’t be the champ unless you beat the champ, so until further notice, Sporting KC is your preseason MLS Cup favorite. It won’t be easy — the East figures to be rugged again with improved sides in New York, Chicago, Houston, New England and obviously Toronto, and the West should be loaded with LA, Portland, Seattle and Real Salt Lake — but Sporting returns almost the exact same side that won last year’s title. With another year of experience under their belts it’s their championship to lose. Starting next week the Free Beer Movement will be home to the best American soccer preview series EVAR. It's that good that we can't even spell words correctly. Starting on Monday we'll begin our features of all 19 MLS teams in the run up to #FirstKick on Saturday, March 8th between Seattle Sounders and Sporting KC on NBC Sports Network. It won't stop there, though. With North American Soccer League, United States Soccer PRO leagues, and other pieces of the American soccer pyramid kicking off soon we'll feature a myraid of "beer-views" for some of these teams as well. The 2014 edition of "beer-views" will have you thirsting for the upcoming season like never before.